Pete Jaros, a junior transfer student from Homewood, Ill.
Pete Jaros is a junior transfer student from Homewood, Ill. He transferred to AU the spring semester of his sophomore year from Prairie State, a two-year community college near Chicago. He has quickly found his niche at AU by getting involved with the cross country and track and field teams. After his first year at Prairie State, Jaros was looking for another challenge. He wanted to pursue his education at a four-year institution and also continue running. 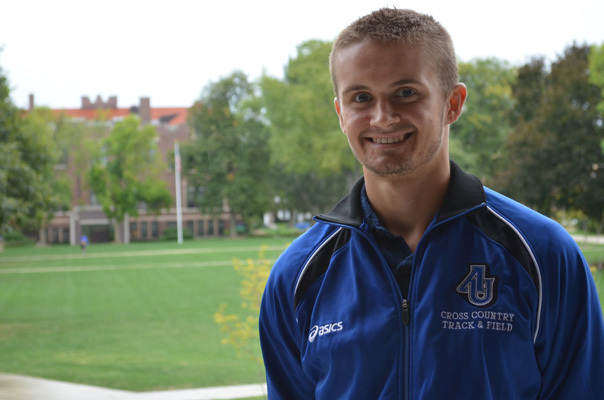 One of his coaches encouraged him to explore Aurora University, so he met with Ryan Chapman, Head Men’s and Women’s Cross Country and Track Coach. 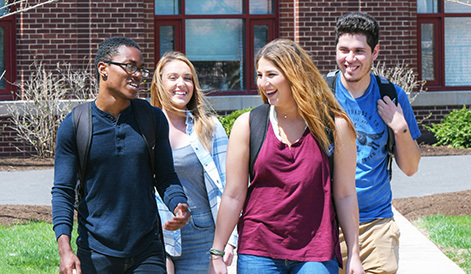 Jaros liked the small campus and felt like the overall environment would help him focus on his coursework. He also earned scholarships that are allowing him to save money for medical school.